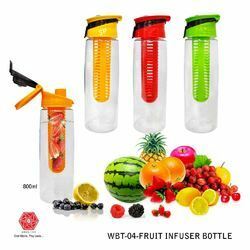 We are a leading Manufacturer of fruit infuser water bottle-wbt-134, fruit infuser water bottle-wbt-570, fruit infuser water bottle-wbt-71 and fruit infuser water bottle-wbt-04 from Mumbai, India. 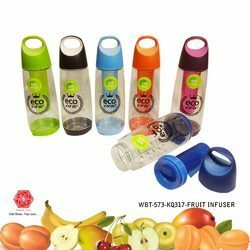 ECO FRIENDLY AND LEAK PROOF : The infuser water bottle is made from Triton, BPA-free plastic, making it safe for both you and the environment. 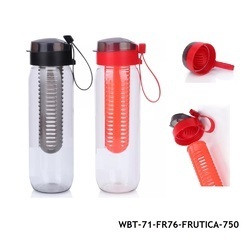 The Infruze water bottle has passed Leak Proof tests to satisfy the needs of our customers. 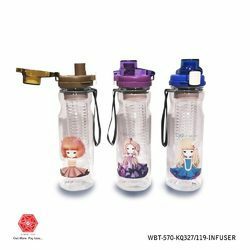 DRINK MORE WATER - Maintain the Balance of Body Fluids, Lose Weight by Controlling Calories, Energize and Hydrate Your Muscles, Speed up Metabolism, Keeping Your Skin Look Radiant and Healthy. 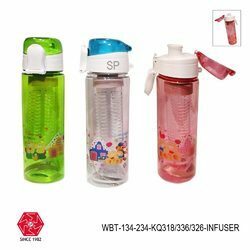 There are endless benefits of drinking more water!